KING OF PRUSSIA, Pa. - May 16, 2017 - PRLog -- Humanus Corporation, a national academic service provider, is pleased to announce the recent hire of Debra Stehman, CPA, who has joined the firm as Chief Operating Officer. Stehman has significant experience in the development of strategic solutions for growth and will focus on expanding Humanus' national footprint in assisting schools throughout the nation by providing special education and therapy professionals. "Debra is an excellent leader who is joining Humanus at a pivotal time. I have tremendous confidence that Debra's management style and extensive experience will ensure our ability to sustain our rapid growth", said James Stewart, President and CEO. "She embodies our core values and shares our passion for helping others so we are very excited to have her as a part of our team." 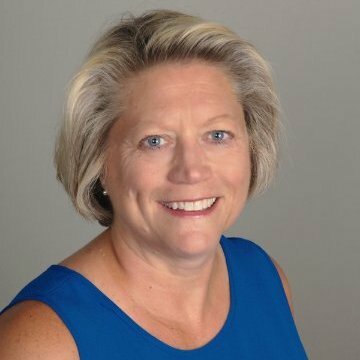 Stehman is joining Humanus after seven years at Day & Zimmermann Group, Inc. where she first served as the Vice President & Corporate Controller, and most recently as the Vice President of Operational Finance in their Shared Services Organization. Prior to working at Day & Zimmermann, Stehman held the position of Chief Financial Officer at Devon Consulting, Inc. since 2000. Both companies focused on providing workforce solutions to customers worldwide. As a mother of two college graduates on the Autism spectrum, Stehman is appreciative of the role Humanus has in helping children during their developmental stages, "My mission is to advance the growth of an organization that already serves students through their learning institutions. I can't think of a better organization to join than one that focuses on enabling a child to succeed." Stehman earned a Bachelor's degree in Finance and Accounting from the Wharton School of the University of Pennsylvania in Philadelphia. She started her career at Deloitte & Touche, LLP where she earned her CPA. She is also an alumni of the KPMG Executive Leadership for Women Program and Harvard School of Business' Executive Education. Humanus is a provider of professionals in special education, related therapy and behavioral healthcare for public, private and charter schools throughout the nation. Here at Humanus, we are committed to providing its academic partners' students with qualified professionals to find personnel that meets and exceeds their needs and expectations. In that capacity, we share our partners' missions - to help students achieve their maximum academic potential while promoting educational, emotional and psychological development.